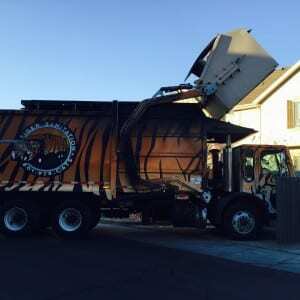 At Tiger Sanitation, we have helped some of the largest companies in the Salt Lake area identify their waste and recycling needs. In most cases the larger the waste out put of an organization, the more likely it is that we are able to identify ways to save money through diversion and recycling, while also allowing the company to be green. Our industrial service is geared towards manufacturing operations and distribution facilities. We offer a variety of dumpsters, compactors, and compactor boxes that can be used for waste or recyclables. If you have a medium or large sized industrial business that routinely generates a large or moderate amount of waste, Tiger Sanitation would love the opportunity to earn your business.